The Assistant Captain of the Boston Bruins, Patrice Bergeron, was the obvious hero from last night’s pair of game sevens. Boston was down 4-1 mid-way through the third period and miraculously emerged victorious. During Boston’s unbelievable comeback, Bergeron scored the tying goal with 50 seconds remaining and then finished off the Toronto Maple Leafs five minutes into overtime. He finished first star of the game with 2 goals and 1 assist, amassing all his points on the last three Bruins goals. Clutch. So what gear helps you achieve first star in a Game 7 of the Stanley Cup Playoffs? 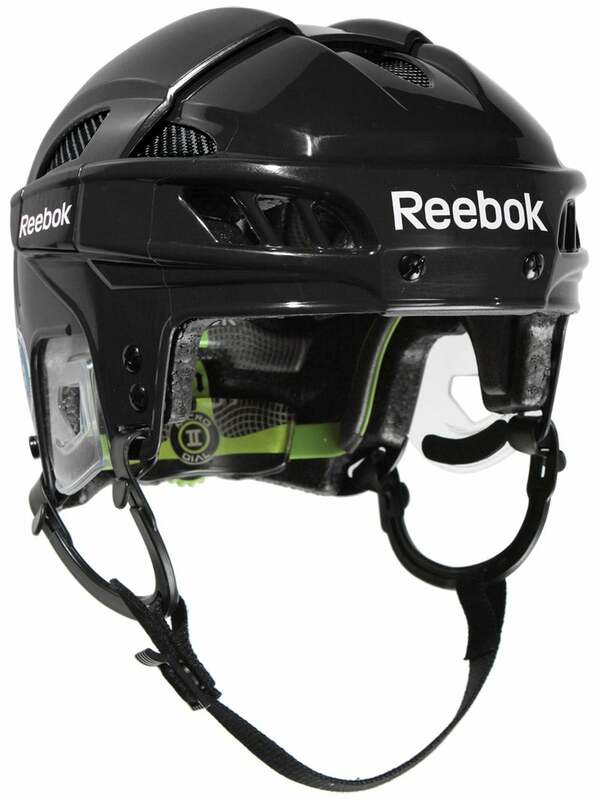 The top of the line helmet from Reebok combines performance with style in the Reebok 11K helmet. The EPP floating liner both cushions and protects your head at the same time. It features a 360 degree fit that keeps the helmet snugly even through the hard hits. To protect his face, Bergeron wears the Oakley Pro Straight Visor. 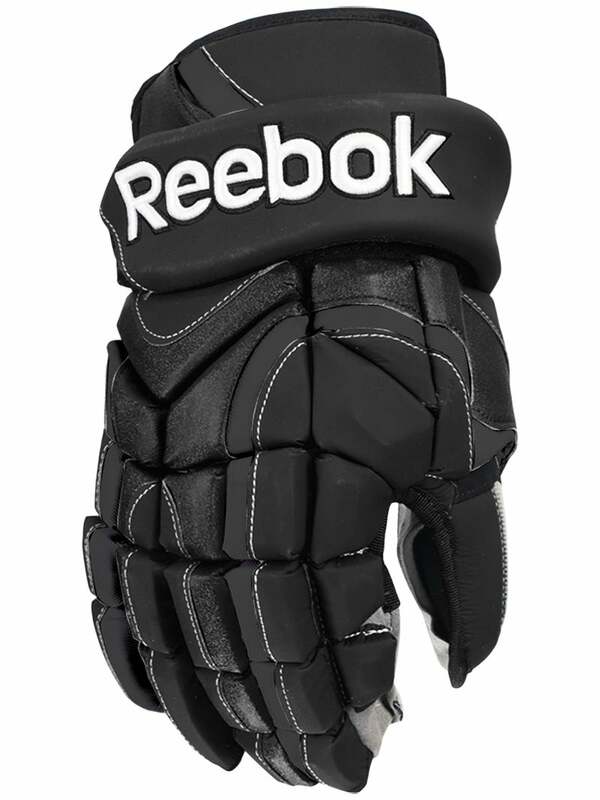 Reebok KFS Glove line, allows for maximum wrist mobility without sacrificing any of the high level protection. This glove is perfect forplayers like Bergeron: that prefer the contoured, snug fit with the mobility of a traditional fitting glove. This stick launches in July, 2013. Stay tuned to the blog to find out more about the Ribcor within the next two weeks. 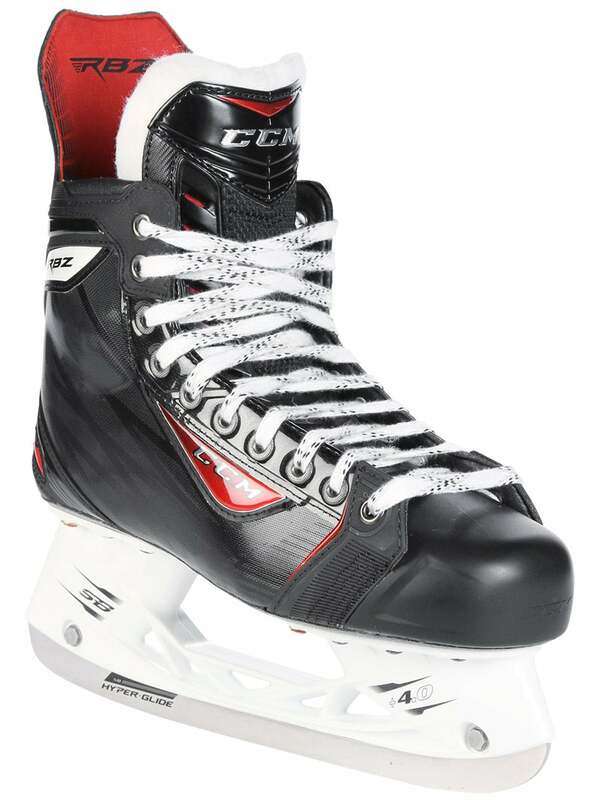 We’ll have a blog posted tomorrow about the CCM RBZ Skates: so check back tomorrow for more information! All of the equipment Bergeron uses is (or will be available) at Inline & Ice Warehouse. Remember to check back soon for more sneak previews! This entry was posted in NHL, Player Profile and tagged 2013 Patrice Bergeron, IW Player of the Day, Patrice Bergeron Gear, Patrice Bergeron Helmet, Patrice Bergeron Skates, Patrice Bergeron Stanley Cup Playoffs, Patrice Bergeron Stick, Player of the Day on May 14, 2013 by Chris.